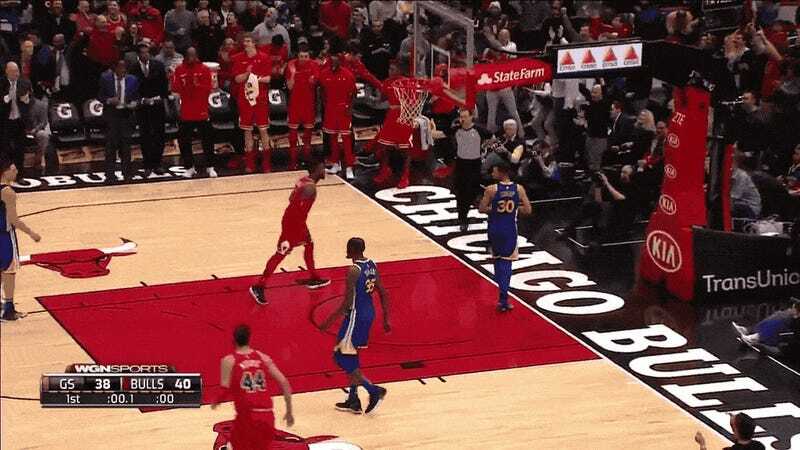 The Bulls went into halftime with a three-point advantage over the Warriors, and besides Jordan Bell getting dunked off the court with a sprained ankle, a few other embarrassing things have gone wrong for Steph Curry’s team so far this evening. 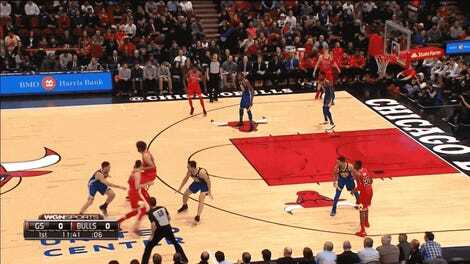 For one, Lauri Markkanen locked Curry down when the vet tried to dribble by him, and then he bonked Curry on the head with a block. And for another, at the end of the first quarter, the Bulls clowned the Dubs like Golden State had never played basketball before. All in all, the famed mouthpiece chucker seemed totally, 100 percent fine with all of it. This is actually funny to the two-time MVP.